Billion Dollar Unicorns: Will A Sales Strategy Change Help Cloudera? Billion Dollar Unicorn Cloudera (NYSE: CLDR) listed in April last year. Many expected it to be a strong IPO, but the company has not done very well under public scrutiny. Recently, it reported its fourth-quarter results where the weak guidance sent the stock to its lowest levels since it listed. Revenues for the quarter grew 42% over the year to $103.5 million, ahead of the market’s forecast of $93.7 million. Net loss of $0.10 a share was also better than the Street’s estimates of a loss of $0.23 per share. Subscriptions revenues grew 50% to $84.3 million and Services revenues grew 15% over the year to $19.2 million. International revenues continued to grow and it reported a 66% growth over the year. Cloudera ended the year with revenues growing 41% to $367.4 million. Net loss increased from $187 million or $5.15 per share to $386 million or $3.38 per share for fiscal 2018. While it did surpass market expectations for the quarter, it was the outlook that scared the investors. For the current quarter, Cloudera forecast revenues of $101-$102 million with a net loss of $0.17-$0.19 per share. The Street had forecast revenues of $102.4 million with a net loss of $0.17 per share. Even for the year, Cloudera forecast fiscal 2019 revenues at $435-$445 million, significantly short of the market’s forecast sales of $460.5 million. It expects to end the year with adjusted losses of $0.59-$0.62 per share, compared with the Street’s forecast of a loss of $0.59 a share. 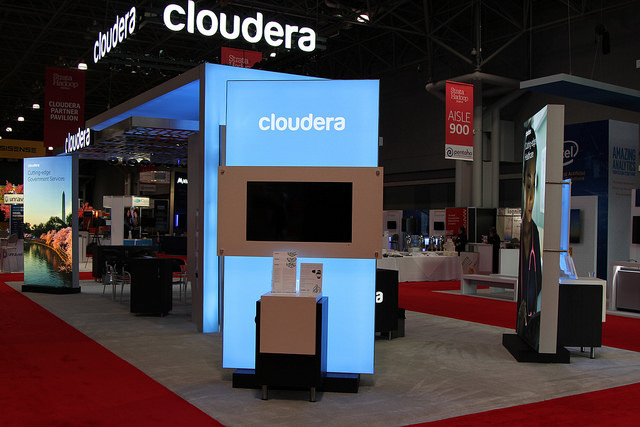 Cloudera attributed the lower revenue forecast to its planned change in sales strategy. During the results announcement, the company claimed that it made mistakes in its sales strategy by focusing on customers who weren’t driving enough revenue. It claimed that it was focused on pursuing too many new customers outside of its target market and thus fell short in bookings within existing customer expansion. It also realized that it was spending a lot more to acquire new customers and increase spending among existing customers. To address this, it is making changes to its field sales organization. It is looking to hire a new head of sales to drive its business to $1 billion in revenue. It is adding specialists to focus on cloud computing, machine learning, and analytics. Implementing this change, and seeing benefits from the change will take time. That is the reason, the company expects a nearly 20% growth in revenues over the year, compared with the Street’s estimates of 40% growth. Billion Dollar Unicorns: Will Cisco Buy Nutanix? Billion Dollar Unicorns: Can Splunk Sustain Its Price Point?